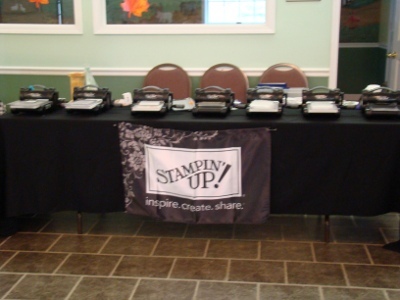 This is not your ordinary Stamp Camp! Open to stampers of all ages, no experience necessary! Stamp Camp fee is $25 per person due to Lynn Streifert by May 31, 2014 (address/registration below). Please feel free to share this information with any stamping friends you know who might enjoy this type of event. We hope to repeat “Cards for a Cause” on a monthly basis, if there is interest- and benefiting a variety of worthy causes that are near and dear to the Lynnzcrafters team. (we have talked about cards for Ronald McDonald House, and Operation Give2TheTroops as well as many for local charities and the American Cancer Society). *Stamp Camp Registration would make an awesome Mother’s Day gift! If you’d like to “gift” a special lady with this class, contact me for a gift certificate! We should have photos available on the cards we are going to feature, but we are all eagerly awaiting the arrival of our new stamps and supplies (they come from Utah you know). If you would like to pay by credit card, I have the square reader and can process your payment over the phone, call me if you’d like to register over the phone and pay by credit card. Enclosed is ________ ($25 per person. Checks made out to Lynn Streifert). Return to: Lynn Streifert 18 Edmel Road, Glenville, NY 12302 by May 31st. Space is limited to the first 50 people who register (payment reserves your spot).